"This is a great sauce to toss your wings in. Be aware that this sauce has a lot of heat, but the honey takes some of the edge off. This is easily my favorite wing sauce recipe. 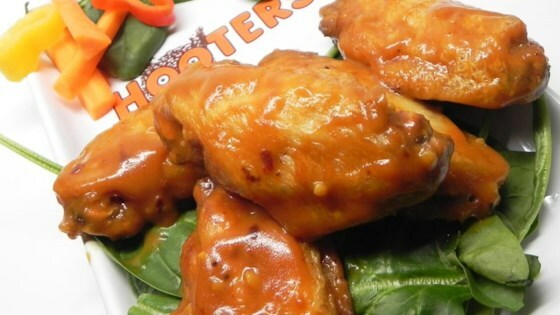 Toss wings in sauce or brush on after cooking." Combine ketchup, honey, mustard, vinegar, soy sauce, red pepper flakes, chile-garlic sauce, hot pepper sauce, whiskey, and garlic in a saucepan; cook and stir over medium-high heat until sauce begins to bubble, 5 to 10 minutes. Remove saucepan from heat.